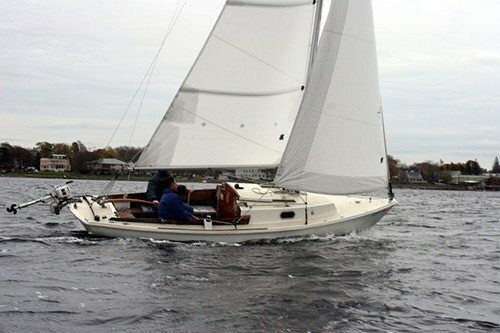 Lessons take place on either a 20′ Bristol with a tiller and outboard engine or on a Pearson 30’ with wheel steering, inboard diesel engine. Classes have a maximum of three single students or two couples. The class takes place over three 8-hour days for 24-hours of instruction. All classes are taught by ASA certified instructors. Boats will be available after course completion for practice. Greeting, course overview, the five things you need to know… and how to make a boat go. Then out on the water sailing! Boat Familiarization: then get out on the water and practice! Review and student questions, what makes a boat sail, knots, deck safety, hypothermia, and seasickness. Review and student questions. Then charts, anchoring, review of tying a cleat, bowline, clove hitch, and teaching two half hitch. End with testing. 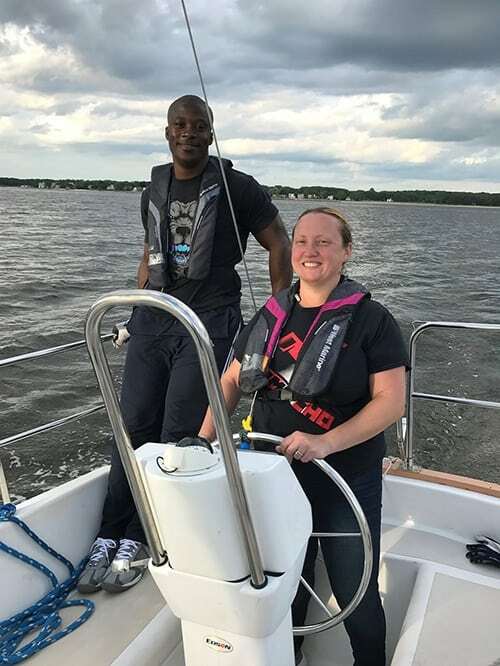 Go sailing out on the bay without an instructor… safely! We offer an ASA 101 / 103 / 104 package price that reduces your total investment by 15% instantly. That means you pay just $3,000 for one or $5,000 for a couple. This is for the three separate ASA courses and cannot be combined with any other discounts. Classes need to be scheduled all in the same year.